The Fresno police chief cast doubt on a California lawmaker's statements that his arrest on suspicion of child cruelty stemmed from spanking his daughter. 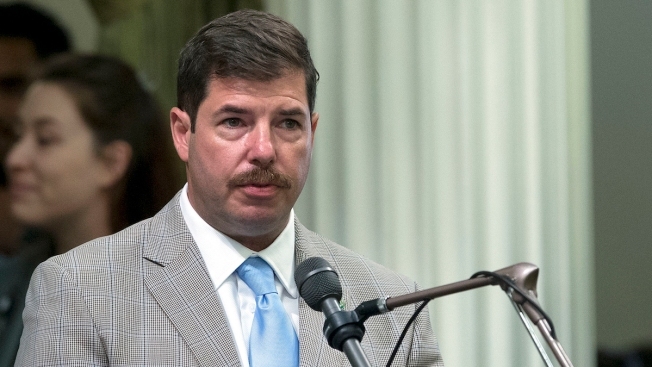 Chief Jerry Dyer said Thursday the injury to Assemblyman Joaquin Arambula's daughter was not on her buttocks, the Fresno Bee reported. "There was an injury. I can't get into the details of where (Arambula's daughter's) injury was, but it was not on the buttocks," Dyer said. Arambula, a Fresno Democrat, was arrested Monday on suspicion of willful cruelty to a child, a misdemeanor. Officials at Dailey Elementary Charter School learned of an injury on his 7-year-old daughter and reported it to child protective services and the police. Arambula was arrested and taken to the station but later released. He said Wednesday he had spanked his daughter as discipline, calling it a tool he rarely uses. Spanking a child on the buttocks would not be illegal, Dyer said. He has three daughters, ages 3, 6 and 7. They stayed with his parents for two nights but were allowed to return home to Arambula and his wife, Elizabeth, on Wednesday. Arambula has not yet been charged. His attorneys, Margarita Martinez-Baly and Michael Aed, criticized Dyer for offering more details and said they're conducting their own investigation. "We have offered to meet with representatives of the Fresno County District Attorney's Office so that relevant information can be presented that may have an impact on their ultimate decision to file charges," they said in a statement. "After an investigation by CPS that dispelled any concerns about child abuse, his children were returned to his custody."